Partly cloudy this morning, then becoming cloudy during the afternoon. High 56F. Winds SSE at 10 to 15 mph..
Our funeral home’s dedicated staff wants to help you and can play a critical role in planning and carrying out a meaningful funeral or memorial service. Our licensed funeral directors are intimately familiar with the funeral planning process, key decisions a grieving family must make, and necessary legal documentation that is required during this difficult time. Our funeral professionals can handle all of the details and help you create a unique service that fits your needs and values. Understanding the benefits of pre-planning has prompted many to take the step to plan their own arrangements. Please call us at (262) 878-2500 to set up an appointment to discuss pre-planning with a caring professional. With our Basic Planner, you can take your time to consider the basic services and products which best suit your preferences and budget. Explore different options until you find those that are right for you. Once you complete the Basic Planner, our Details Planner guides and assists you in making specific decisions about your plan. This package includes basic services of the funeral director and staff ; washing and disinfecting unembalmed remains ; graveside service ; and transfer of remains to the funeral home . This package includes basic services of the funeral director and staff ; embalming ; dressing, casketing, cosmetic application, etc ; viewing/visitation for one evening (at the Funeral Home or another location); funeral ceremony (at the Funeral Home or another location); graveside service ; casket coach (hearse) ; transfer of remains to the funeral home ; and appointment package: memorial cards, acknowledgment cards, register book, and a cross or crucifix . This package includes basic services of the funeral director and staff; washing and disinfecting unembalmed remains; refrigeration (per day- after first 3 days); transfer of remains to the funeral home; and cremation fee. This also includes transportation to the crematory and the cremation container. This package includes basic services of the funeral director and staff; washing and disinfecting unembalmed remains; graveside service; transfer of remains to the funeral home; and cremation fee. This package includes basic services of the funeral director and staff; washing and disinfecting unembalmed remains; refrigeration (per day- after first 3 days); same day visitation and funeral service (at the Funeral Home or another location); funeral ceremony (at the Funeral Home or another location); graveside service; transfer of remains to the funeral home; appointment package: memorial cards, acknowledgment cards, register book, and a cross or crucifix; and cremation fee. This package includes basic services of the funeral director and staff; embalming; dressing, casketing, cosmetic application, etc; viewing/visitation for one evening (at the Funeral Home or another location); funeral ceremony (at the Funeral Home or another location); graveside service; casket coach (hearse); transfer of remains to the funeral home; appointment package: memorial cards, acknowledgment cards, register book, and a cross or crucifix; and cremation fee. 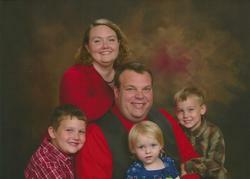 An open casket visitation will take place prior to the cremation being performed. The ashes or the casket may be present at the funeral ceremony if time allows. This package also includes transportation to the crematory and the cremation container. This package includes basic services of the funeral director and staff; embalming; dressing, casketing, cosmetic application, etc; same day visitation and funeral service (at the Funeral Home or another location); funeral ceremony (at the Funeral Home or another location); graveside service; casket coach (hearse); transfer of remains to the funeral home; appointment package: memorial cards, acknowledgment cards, register book, and a cross or crucifix; and cremation fee. 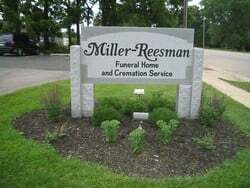 Miller-Reesman Funeral Home and Cremation Service provides full-service burial and cremation options at affordable prices.